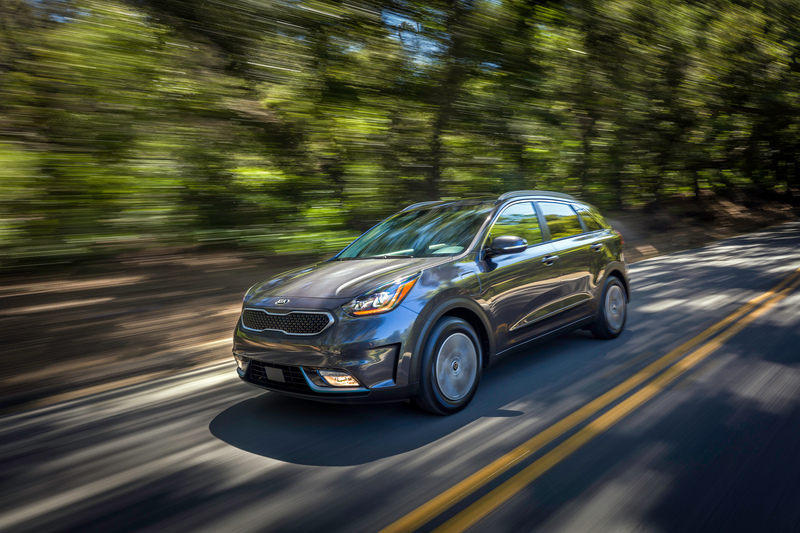 Rated at an EPA-estimated 26 miles of All-Electric Range1, Niro PHEV can help some drivers consume less gasoline in most driving conditions5 and in all-electric mode it produces zero emissions. And with the total driving range rated at up to an estimated 560 miles6, it offers fantastic versatility. 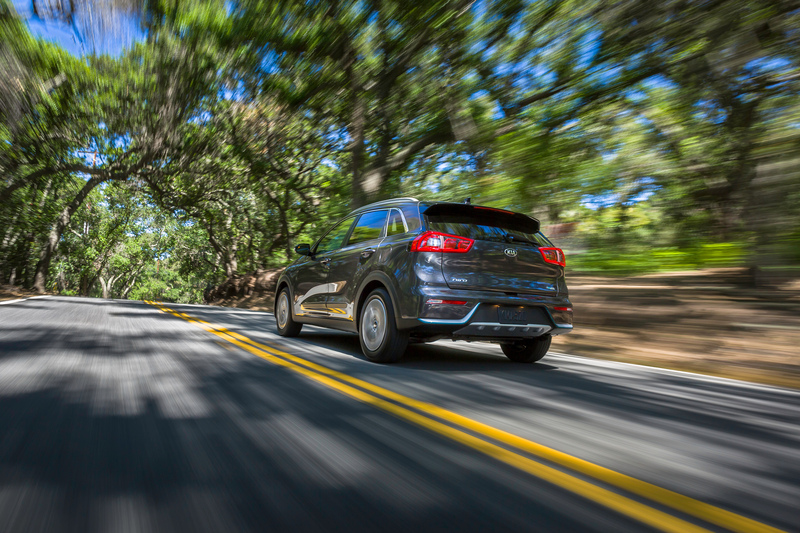 With Niro Plug-in Hybrid you can have it all-pure EV daily driving and the ability to take long road trips. 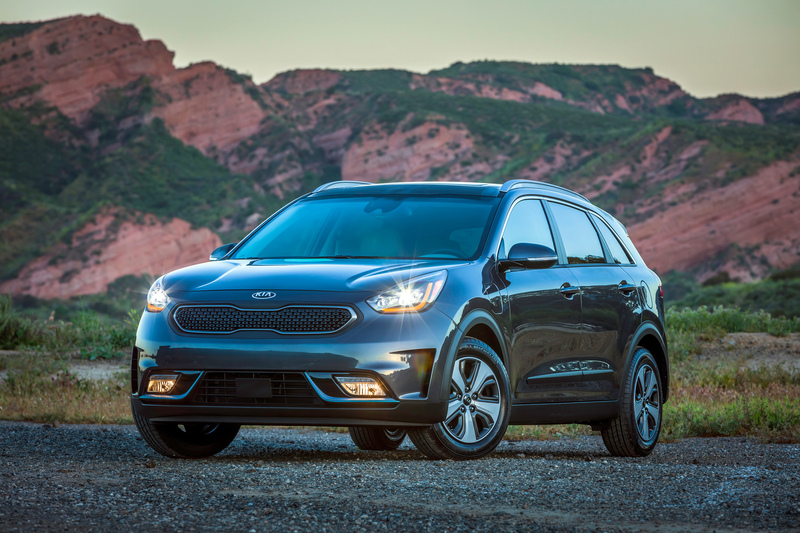 The Niro Plug-in Hybrid is yet another vehicle introduced under the Kia Motors EcoDynamics sub-brand and represents an important next step on the path to nearly tripling the brand's global lineup of alternative fuel vehicles by 2020, which includes the Niro, Optima Hybrid, Optima PHEV and the Soul EV. The new Niro Plug-in Hybrid offers all the same feature-rich packaging and driving fun of the hybrid Niro, but with a few PHEV-exclusive touches, such as a subtly-modified front grille insert and surround, hybrid blue exterior accents, available LED headlamps, a charge port door (on left front fender), available 7-inch color meter cluster with digital tachometer and “ECO/Plug-In” badges. 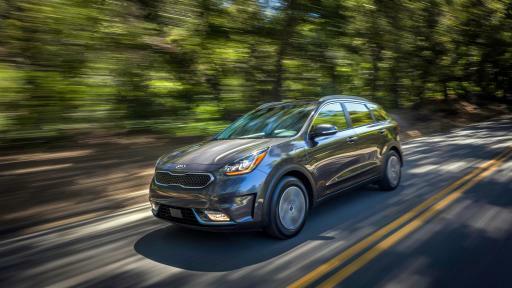 Increased high-voltage battery capacity (+7.34 kWh more than Niro hybrid) and output/power have helped make the Niro Plug-in Hybrid an efficient, low emissions crossover with a 105 MPGe rating. The Niro PHEV's compact, high voltage battery is neatly tucked under the cargo floor and under the rear seat and maintains the same spacious cargo capacity as the Niro hybrid. A single charging port is located in the driver's side front fender. A full charge can be achieved in approximately 2.5 hours via a 240V (Level 2) charger , and under 9 hours via a 120V (Level 1) charger. 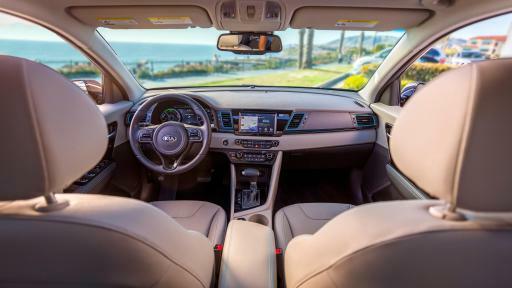 Like the Niro hybrid, the Niro PHEV seats five and offers the same great crossover functionality and generous cargo capacity. 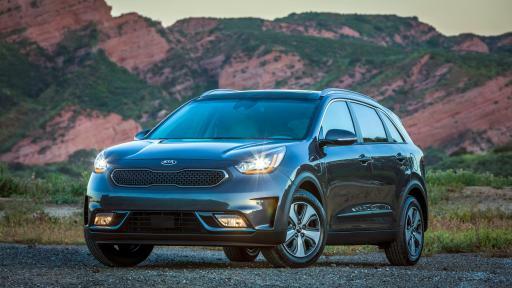 The Niro PHEV will be offered in three trim levels-LX, EX and EX Premium. In addition, the Niro PHEV is offered with a suite of advanced driver assistance and convenience technologies , including Blind Spot Detection (BSD) with Rear Cross Traffic Alert (RCTA), Lane Change Assist (LCA), and front and rear parking sensors; while Smart Cruise Control (SCC); Autonomous Emergency Braking (AEB); Forward Collision Warning (FCW) and Lane Keep Assist System (LKAS) are all standard. 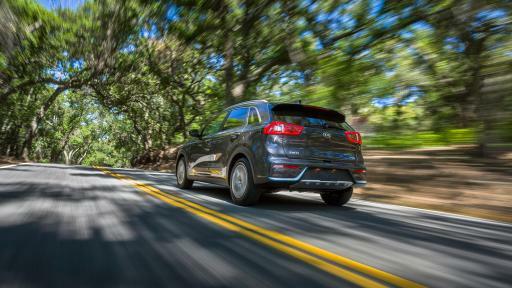 The Niro Plug-in Hybrid also includes UVO eco which extends Kia's award-winning connectivity service by offering convenience and safety features tailored to eco-minded drivers. With UVO eco, drivers can remotely monitor and charge their vehicle's high-voltage battery; setup charging schedules to take advantage of off-peak utility rates; preset the vehicle’s cabin temperature, turn on window defrosters, and heat the steering wheel, lock or unlock doors, and find their vehicle from their smartphone or web enabled device. EPA-estimated range on a full battery charge. Actual range will vary based on driving habits, vehicle maintenance, charging practice, battery age, weather, temperature, and road/traffic conditions. Battery capacity will decrease with time and use. For more information on range, please see www.fueleconomy.gov. EPA-estimated MPG equivalent when vehicle is fully charged. Actual MPGe will vary based on driving habits, vehicle maintenance, charging practice, battery age, weather, temperature, and road/traffic conditions. Battery capacity will decrease with time and use. For more information on MPGE and range, please see www.fueleconomy.gov. Based on EPA estimates. Actual mileage will vary with options, driving conditions, driving habits and your vehicle's condition. Actual mileage will vary with options, driving conditions, driving habits and your vehicle's condition. Based on range listed at fueleconomy.gov, which cautions that range assumes a full tank and 100% of fuel in tank will be used before refueling. Actual range will vary with options, driving conditions, driving habits and your vehicle's condition. Kia recommends that you refuel as soon as possible after the low fuel warning light illuminates or sooner. Level 2 (240V) charging station shown is not available for purchase and does not come with vehicle. Actual charging stations will vary. These systems are not substitutes for proper and safe driving, parking, and/or backing-up procedures. These systems may not detect every object behind or alongside the vehicle or in the vehicle's blind spot or direction of travel. Always drive safely and use caution. Distracted driving can result in a loss of vehicle control. When operating a vehicle, never use a handheld device or vehicle system that takes your focus away from safe vehicle operation. Apps use your smartphone data service, and some features of the UVO eco app require you to enable push notifications on your smartphone. Normal cellular service rates will apply. Remote features require a wireless signal with good coverage to function, and normal cellular service rates may apply. Do not use remote climate control if vehicle is in an enclosed environment (e.g., closed garage).